Hudson County will resume the rehabilitation of the Park Avenue bridge between Hoboken and Weehawken beginning on Sunday, October 30, 2016 at 8:00pm. Construction was previously suspended due to an executive order from Governor Christie related to the Transportation Trust Fund. 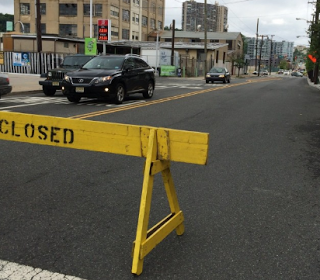 Work is planned to take place Sunday to Thursday nights from 8pm to 6am and Friday nights from 10pm to 8am to allow for the later traffic flow out of the City of Hoboken. The Park Avenue bridge will be closed to traffic in both directions during construction hours. Work will not be done on Saturday night, and the bridge will be re-opened to two-way traffic during daytime hours. -Sinatra Drive North will be closed from 14th Street to Shipyard Lane.